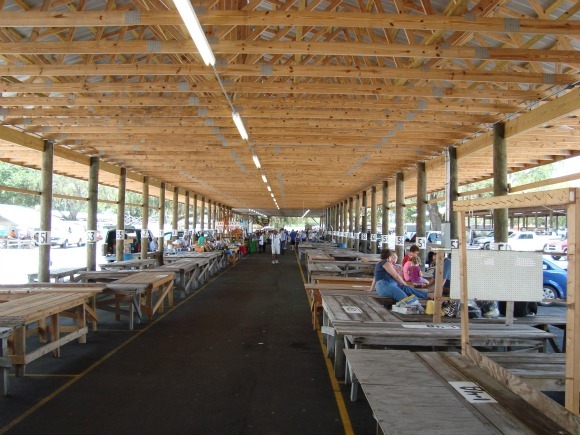 The Webster flea markets and farmer's market are located in the small Central Florida town of the same name. Webster is a very quiet little place except for Mondays. That is the one day of the week when the markets are open. 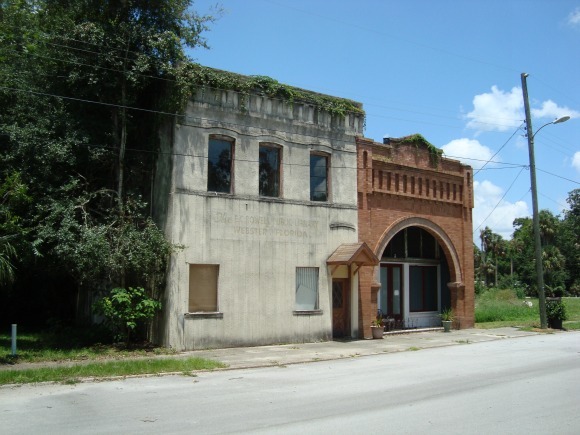 The Monday thing goes back to the "blue laws" which dominated most rural Florida counties back in the bad old days of the Great Depression. One of those laws kept people from doing business on Sunday, so the good ole boys of the area shifted their farmer's market to Monday. During the peak of the winter season, when all of the snowbirds have come down to Florida for the winter, the flea and farmer markets are so busy you have to search awhile for a parking space. It's estimated that as many as 4,000 dealers are set up on the site, and they receive 100,000 shoppers on a Monday. Not nearly as many dealers set up during the hot Florida summers. I made a recent visit in July. I think there were only 400-500 dealers set up. Things I saw being sold were tools, hats, towels, sheets, body lotion, watches, jewelry, perfume, dogs (Yorkies, Chihuahuas and other tiny breeds), rabbits, knives, shirts, dresses and assorted products that reminded me of the offerings in a Dollar store. A few antiques were displayed here and there, but the biggest antique offerings take place in the cooler winter months. The Farmer's market had lots of beautiful tomatoes, onions, peppers, squash, melons, oranges, tangerines and just about anything else that grows in Florida. There was a large selection of house plants and even citrus trees. There are several Webster flea markets. The biggest one by far is the Webster Westside Flea Market. 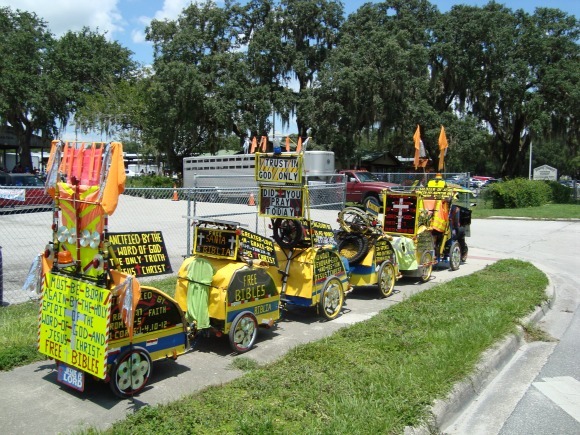 It is said it's the oldest and biggest flea market in Florida. The Sumter County Farmer's Market is across the street just east of the Westside market. There are also a couple of other open shed type flea markets on the same side as the Farmer's Market. I have found you can park in any of the lots and easily walk around to visit all of the markets. They are all located in one big open field with many of the vendors set up in the shade of big open sheds. There are many concession stands located all over the flea market grounds. You can find hot dogs, hamburgers, kettlecorn, peanuts, sandwiches, soft drinks and a lot of other offerings to please the palate. The town of Webster is very tiny, maybe a few hundred people, so there are only a few shops and restaurants outside of the flea market grounds. One such place I enjoy is "The Frog In The Window" at 86 NE 1st Avenue. 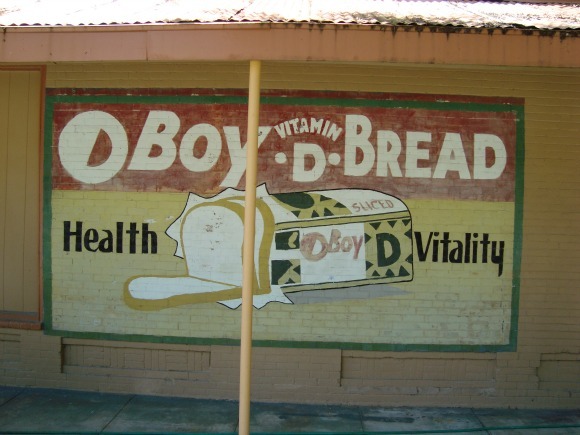 It is across the street from the public library in the building with the O Boy Bread sign on the side. The proprietor, Ken Mueller, has turned an old hardware building into an eclectic shop featuring a lot of rare and collectible books. His bookstore area is known as Diddley-Squat's Books. The building displays antiques and has a small coffee shop (The Frog in the Window) where the locals like to gather in the morning. Mr. Mueller knows his local and Florida history, and is also very knowledgeable about baseball history. He's a good guy to swap stories with. Webster is located just off Exit 309 on I-75. It is located between two major north-south Florida back roads: US-27 and US-301. County Road 471 is a north-south route through town, and State Road 50 is just south of town. It is an easy town to find once you know where to look. The Webster flea markets are on CR-471 right in the middle of town. The Webster Westside flea market hours set the pace for the entire operation.